925 Silver CZ Fashion Jewelry,Sterling Fashion CZ Jewellery,Silver Jewellery Set With Cubic Zirconia Stone,Silver Pearl Stone Jewelry,CZ Silver Jewelry,Silver Onyx Stone Jewelry and plain silver jewellery China Wholesale and Manufacturer. Rings Sizes: As per your request. 925 Silver Fashion Jewelry,Sterling Fashion Jewelry,Silver Jewelry Set With Cubic Zirconia Stone,Silver Pearl Stone Jewelry,CZ Silver Jewelry,Silver Onyx Stone Jewelry and plain silver jewellery China Wholesale and Manufacturer. CZ 925 Silver Jewelry China Wholesale,CZ Fashion Silver Jewelry,CZ Silver Earrings,CZ Silver Pendants,CZ Silver Necklaces,High Quality Cubic Zirconia 925 Silver Earring stud tennis and CZ Stone Siliver Jewellery China Wuzhou factory Supplier and Manufacturer,Pearl Stone Silver Jewellery China Wholesale and Exporter,Fashion CZ jewelry China Factory. 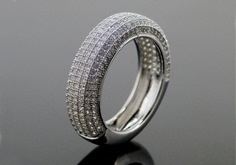 SIN SI JEWELRY @2011 www.sinsijewelry.com Email:info@sinsijewelry.com. Powered by Blogger.